KANSAS CITY, Mo. — Holiday season means it’s scam season. 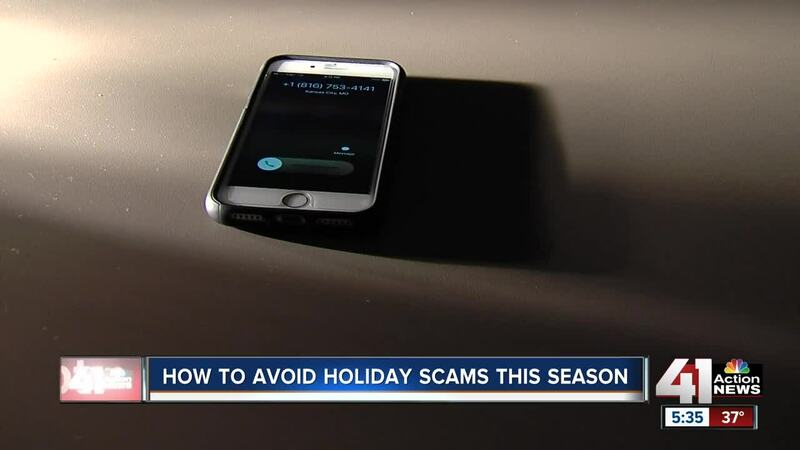 The Better Business Bureau said it sees a spike in the number of scams going around this time of year. But there are ways to protect your donations. Aaron Reese, the director of communications for the BBB of Greater Kansas City, advises donors to run the charity or organization they're giving to through give.org first. The BBB-operated website runs a report on charities so donors get a better idea of whether the agency is legitimate. Some scammers can be aggressive, and often times they flood people with information hoping they won't do their own research before giving. Reese said donors shouldn't be afraid to slow the process down. "Tell them you can give them a call back, you just need to check them out real quick. Check out all their information and make sure it's accurate," Reese said. In today's day and age, Reese said scammers want your identity more than your money. "Because they can open up credit cards in your name, they can use your social security to open lines of credit. They can use your personal information to check themselves into the ER or avoid arrest. There are so many ways a scammer can use your identity so it's way more valuable," he said. The grandparent scam - thieves pose as a person's grandchild and ask for money. For a full list of scams and how to detect them, click here.